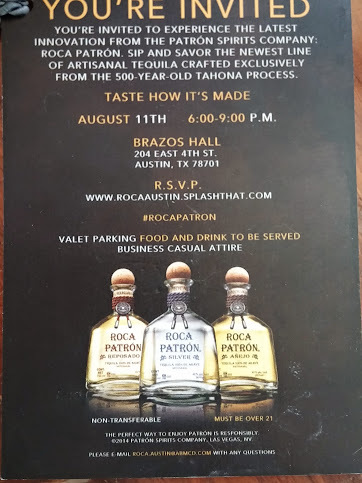 The Roca Patrón launch party invitation. All across the country, in carefully selected cities where the beautiful people roam like Los Angeles, New York, Chicago, Miami, and San Francisco, the Patrón PR machine (which spent a reported $34.1 million in measured media in 2013), is rolling out its new Roca Patrón line of tequilas. Here in Tejas, on August 11, 2014, at the famed Brazos Hall in Austin, Tequila Aficionado Media was invited to the head of the line and behind the braided rope to be one of the first to try this new offering from Planet Patrón. The Brazos Hall was entirely furnished with wooden Roca Patrón branded furniture, fixtures, barrels and props, along with its own stage where a dynamic digital screen replayed a two minute silent video that was programmed to pulsating club music at deafening decibels. Patron Tequila wrote the book on marketing tequila in the 90s. Are they changing with the times? Find out. Besides coming with its own publicity campaign that includes a stylized knockoff of their familiar bottle, projecting the Patrón name and iconic bee symbol onto the walls and some snappy slogans on ads and cushy sofa pillows, the entire experience is designed to embed a feeling of Old World rustic tequila-making with a modern twist. 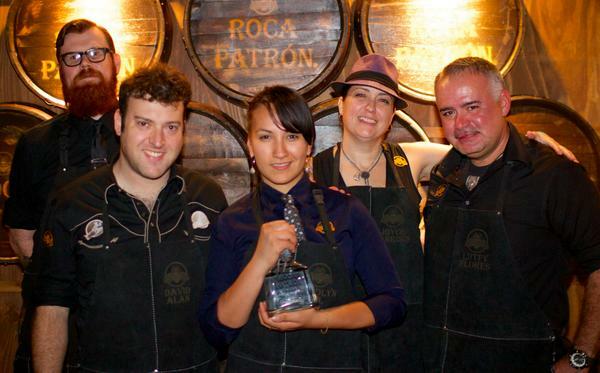 Roca Patron Road Show: designed to feel like Old World rustic tequila-making with a modern twist. El Tesoro’s tahona, still in use. What makes this new addition to the Patrón portfolio any different from its usual ho-hum juice? Roca Patrón (a Spanish corruption of the English word rock) is made exclusively using a tahona or volcanic stone wheel to macerate agave piñas to extract its juice. Until the invention and adoption of more efficient and less labor intensive shredding machines, this was once how all tequilas were produced. In this clip, Patrón Quality Director, Mario Chavez, explains why they settled on a 90 proof blanco and reveals some of the details in the pre-planning of the Roca line. Mario explained that the tahona has always been part of the tequila making process for regular Patrón which they blend after distillation with juice that has been shredded. This method was made famous by Tequila Siete Leguas, Patrón’s original producer, and eventually pilfered by Patrón. For Roca, however, no blending occurs. 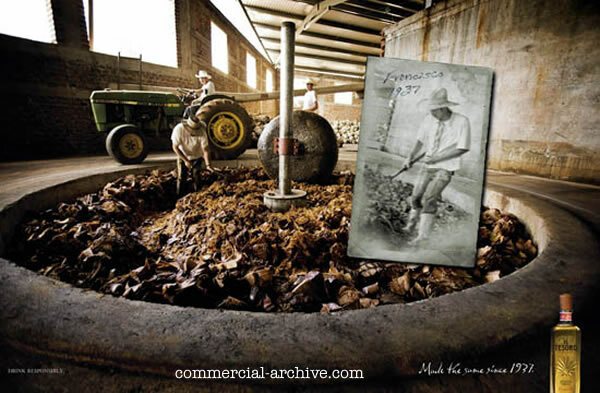 Did you know: Tequila Siete Leguas was Patrón’s original #tequila producer? L-R: Mike Morales, John Rivers of Julio Cesar Chavez Tequila, Mario Chavez. Patrón Quality Director, Mario Chavez, was so animated and excited about sharing Roca Patron that we couldn’t capture a still photo of him! Special thanks to Greg Cohen for inviting us to a great party! In his passion, Mario was sure that there were no other tequilas produced exclusively using a tahona. I reminded him of the sought-after Fortaleza brand which he acknowledged, and Suerte, which he had never heard of. But, why would he? He is so engrossed in his own line that it figures that he would be oblivious to any other ones. An honest, and forgivable, mistake. Several distillers/chemical engineers are associated with the Roca line. 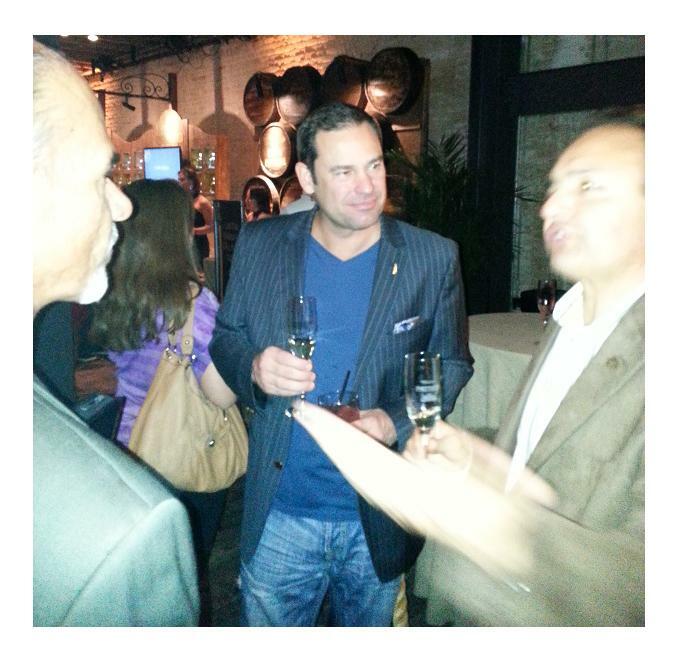 It’s refreshing to see a new face representing Patrón besides Francisco Alcaraz, their long time Master Distiller. The Roca Patrón website has plenty of signature cocktails, but for each of the other 40 odd launch cities including Austin, original recipes were created by hired hot mixologists. As previously pointed out in our reviews of Cabeza, Tapatío 110, and the entire Dulce Vida line, overproof tequilas shine in cocktails and Roca Patrón is no different. Lutfy Flores, David Alan, Carolyn Gil, Brian Dressel, Joyce Garrison, Patrón’s guest mixologists. Patrón would be much better served either neat, or simply on the rocks. Patrón reps that evening admitted that it was not the best way to taste test tequila, but considering the amount of guests invited to the launch, it proved more cost effective. Due to the darkness of the Brazos Hall, observing Roca’s color was next to impossible. The new Roca Patrón line. At first sniff, instant piedra (tahona, rock) with barely any hint of alcohol. The nose gives no warning for what’s to come, however. Extreme agave on the entry, so brace yourselves. Light to medium finish that lingers on the palate, not down your throat. On the second intake, more sweetness is evident. Instant butter on the nose to go along with the wood notes, vanilla and caramel. Mario confessed that his wife is even able to pull some pineapple and pear on the entry. Both were slightly noticeable, again with very little to no alcohol. Aged in American oak barrels and guaranteed to coat your palate. Aged 14 months, mas o menos, there is evidence of dried fruit, nuts and some citrus. Again, very little if any alcohol was present in the nose. Very easy finish, but not as memorable as the reposado even though it, too, will coat the palate. 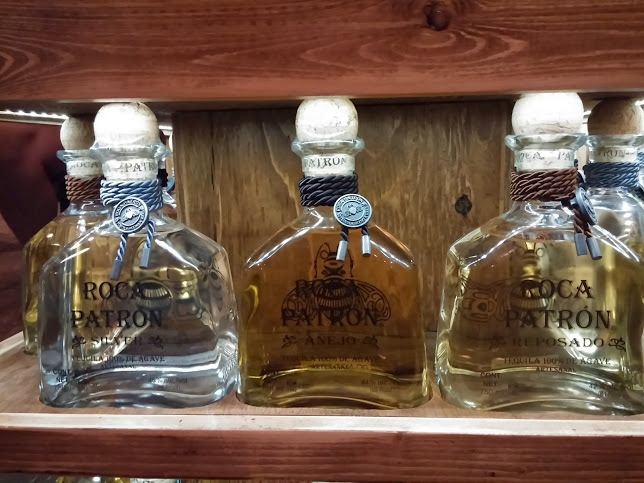 Both at the event and in digital print, Patrón reps and officials have admitted that there has been a gradual decline in demand for its tequila in the United States. Consumers and industry professionals alike have dismissed it as a brand that rests on its colorful past and deft marketing. Whether this trend has been due to the rise of mixologists and their demands for better and more artisanal ingredients for their cocktail creations, a more sophisticated and educated consumer, or focusing on its ravenous rise to dominance in the overseas Duty Free market, Roca Patrón is their bold statement to these allegations. Those willing to spend anywhere from $69, $79, and $89 for silver, reposado, and añejo expressions. Don’t expect to see these prices drop, either. Patrón was one of the only tequila producers that refused to roll back prices during the recession even though consumers were trading down to cheaper brands. In the end, those faithful Patrón followers who enjoy the Gran Patrón line (Platinum, Piedra, or Burdeos), but not the heady price tags, will appreciate Roca Patrón’s assertive flavor profile and less aggressive cost. It was an elegant, eventful, and enlightening affair. Like watching Cirque du Soleil but without the embarrassing costumes. Watch for a future Sipping Off The Cuff(TM) featuring Roca Patrón, coming soon!